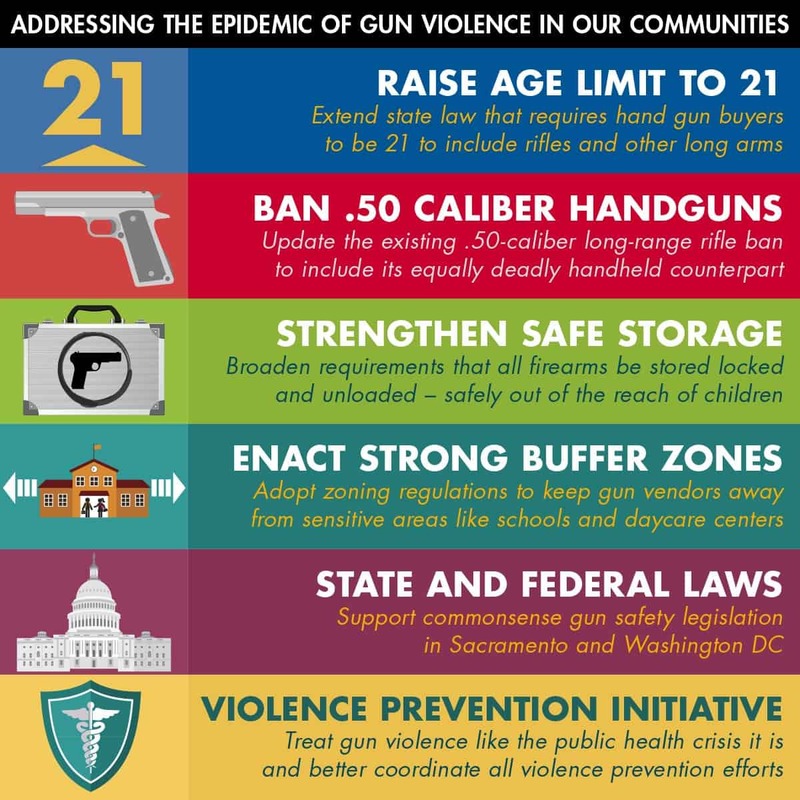 In response to the public health epidemic of gun violence facing the nation, including Los Angeles County, The Board of Supervisors unanimously voted to explore legislative options at the County and state level that would further restrict access to firearms, as well as direct the Department of Public Health to develop a strategic and comprehensive violence prevention plan. On average at least three people die every day in Los Angeles County as a result of gunfire. Young people are disproportionately represented in that number. California has some of the strongest gun laws in the country and recently received an “A” from the Giffords Law Center to Prevent Gun Violence’s annual gun law scorecard. However, a report made to the Board of Supervisors in the wake of the San Bernardino shooting noted that other California counties and some LA County cities have stricter, constitutional, gun control regulations.